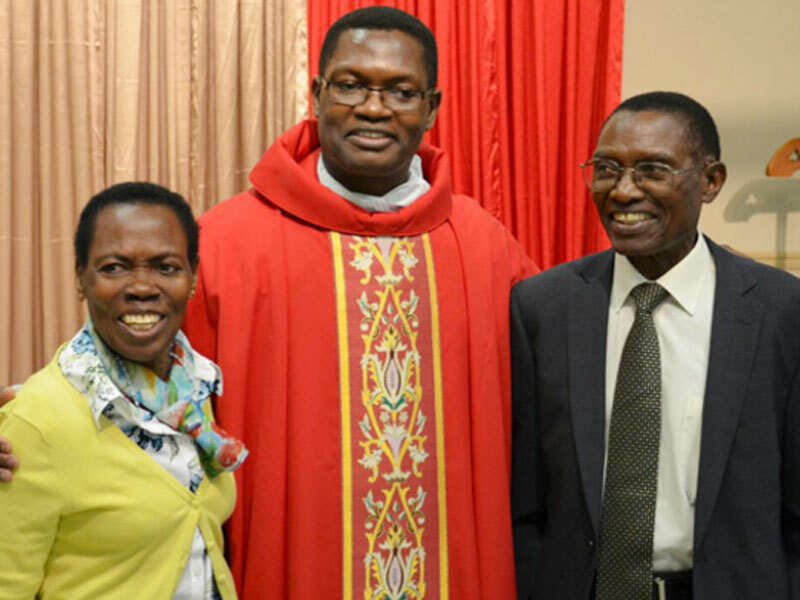 Fr Nsambu with his parents. The Roman Catholic Church in the US has ordained former New Vision reporter Jean Marie Nsambu a priest. On Saturday Deacon Jean-Marie celebrated his ordination with two others at Saint Joseph Co-Cathedral in Thibodaux Louisiana US. The Most Reverend Shelton J. Fabre, bishop of Houma-Thiboduax, welcomed Jean-Marie Nsambu along with Brice Higginbotham and John David Matherne into the sacred order of Presbyter. Fr Nsambu is son of New Vision’s veteran court reporter Hillary Nsambu. Fr Nsambu himself previously worked for New Vision as a reporter before stringing for the Catholic Leadership Magazine until 2008 when during the World Youth Day celebrations when he arrived in the US with group of pilgrims from Uganda. Fr Nsambu celebrated his first Mass at St Genevieve Catholic Church in Thibodaux, Louisiana, on Sunday at 10:30am.